Halitosis, more commonly referred to as bad breath, is the result of many factors. Things like enjoying stinky foods, bacteria residing on your tongue, improper brushing and flossing, and poor dental hygiene are just a few causes worth mentioning. Bad breath can be embarrassing, but by following these five tips, you can easily reduce your risk. Do you suffer from embarrassing bad breath? Call Docklands Dental Studio today to talk to one of our doctors about putting an end to your halitosis! Call 03-9021-9487 for an appointment. Brush your teeth about 30 minutes after a pungent meal. Use minty and refreshing, antibacterial mouth wash to kill germs and bacteria living inside of your mouth. Scrape your tongue after each tooth brushing. Floss daily to keep your gums nice and clean. As many of us know, brushing our teeth twice a day is a very important step in maintaining good dental hygiene. Daily brushing allows us to eliminate the plaque on our teeth and freshens our breath, as well. 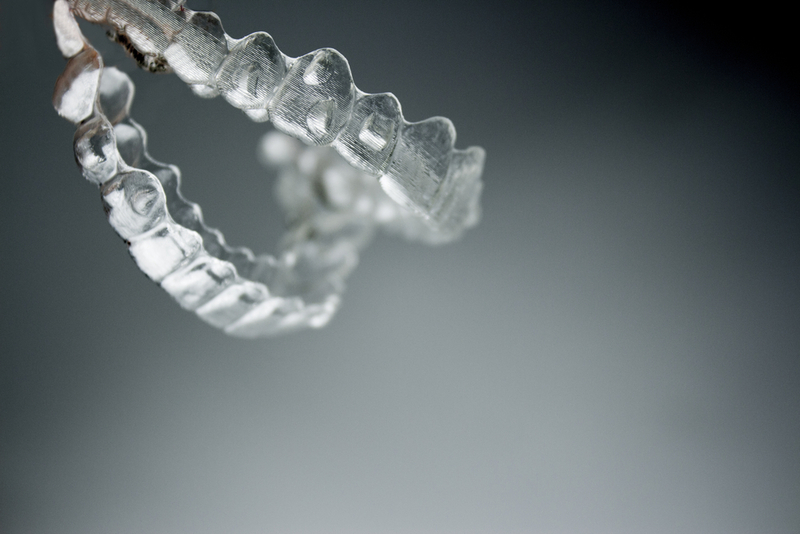 Another important step that is often overlooked is flossing on a daily basis. Many view flossing as tedious and not the most exciting part of our daily routine, however it’s a great way to remove food and bacteria from in between our teeth. Picking out the perfect toothbrush for yourself will leave you feeling excited to clean your teeth twice a day. With so many options, you’ll surely find the best match for you. You can choose between an electronic toothbrush and a manual toothbrush. You can choose one that has a spinning head or multiple speed settings. It’s pretty safe to say that the tooth brushing routine is pretty unique for each person. It is recommended that you spend roughly 2 minutes brushing your teeth each time you commit the act, one minute for each arch. When brushing your teeth, make sure to reach all the hidden parts of your mouth, as well as the easily accessible ones. Brush the top and bottom rows of teeth and the front and backs of all your teeth. It is also recommended that you replace your toothbrush every 2-3 months, or after 90 uses. We brush our teeth to get rid of plaque and bacteria that linger within the mouth, so it only makes sense that that same bacteria resides on your toothbrush. Also try to keep your toothbrush in a convenient location that prevents cross contamination from other sources of bathroom bacteria, such as dirty hands reaching for the soap, or micro-spray from a flushing toilet. 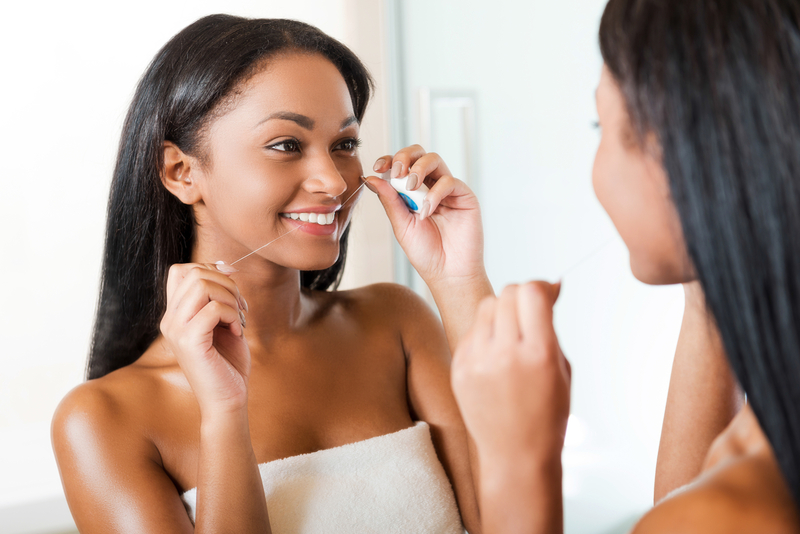 Always remember to follow up with flossing and mouthwash to wrap up your dental routine! Hold the floss tightly between your fingers. Use a C-shaped movement at the gum line and floss between each of your teeth…even those hard to reach back teeth. Remember, it’s okay if your gums bleed at first. After you get in the routine of flossing daily, the bleeding should reduce. Preloaded flossers are a great alternative if you are uncomfortable with loose strings of floss. Mouthwash is an important step to take in order to reduce your risk of bad breath. Using mouthwash helps us rid the bacteria hiding inside our mouths, leaving us with a fresh, clean feeling. Mouthwash shouldn’t be use as a substitution for daily brushing and flossing, but instead should be used as an extension of your hygiene regimen. 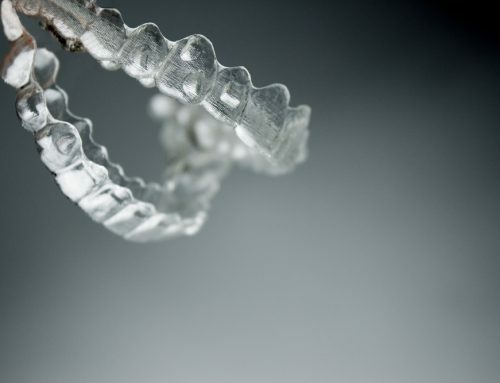 One of the most common mouthwash mistakes that people make is not swishing long enough. So, how long should you be swishing that minty mouthwash around in your mouth? Experts recommend that you perform this act for 30 seconds to a minute. You don’t necessarily have to settle for mint-flavoured mouthwash, as there are other flavors that you could try, as well. When you swish your mouthwash, remember to reach all parts of your mouth and swish vigorously to reach between teeth and under the gum line. Swish under your tongue and try your best not to miss those easily forgotten back teeth. Tongue scrapers are great tools for reducing the risk of bad breath, but that’s not all that they do. Daily tongue scraping can even be linked to improving digestion, as well as helping you enjoy your meals. Bacteria and toxins sit on your tongue, causing bad breath and block the taste buds. By scraping your tongue daily, you reduce the risk of having bad breath, but also get to taste your delicious food better! It’s no mystery that tobacco isn’t a healthy choice. When we smoke, the smoky smell resides in our lungs long after we finish that cigarette, but many people are unaware that the tobacco chemicals stay in our body longer, resulting in chronic bad breath. Smoking can cause various types of cancer, lead to discoloration of the teeth, increase the risk of bad breath, inflame our salivary glands, and leave us at a higher risk of developing gum disease. Periodontal (gum) disease is a very serious health condition that affects roughly 47% of adults over the age of 30. Gum disease is often painless; therefore it’s hard for patients to know whether or not they have gum disease until swollen and bleeding gums are present. Talk to us about learning more ways to manage or eliminate your halitosis! Call Docklands Dental Studio today at 03-9021-9487 to schedule an appointment with one of our friendly doctors. If you are in Port Melbourne or South Wharf, it’s quite easy to get to our dental practice via the Web Bridge (foot or bike) or Wurundjeri Way (by car).